Throughout New Hampshire, from Nashua to Merrimack to Manchester to Concord, and even Massachusetts, trees add a rich beauty to the landscape. While true New Englanders appreciate and respect the Pine trees, Ash trees, Oak trees, Maple trees, Birch trees, and perhaps even Willow trees on their property, sometimes they can be dangerous. If trees on your property are not properly taken care of, they can endanger your home and your family. Every year, trees that are not professionally cared for cause power outages, damage to homes and property, car accidents, fires, injury and even death. These destructive events can be avoided if hazardous trees are removed before they cause damage. New Hampshire property owners, do you see any of these signs of hazardous trees? Have your trees developed leaves or strange size or shape? 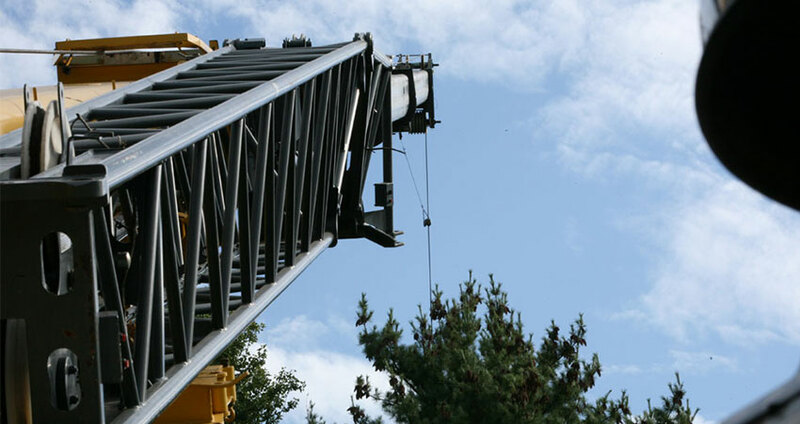 McGuinness Tree Service is New Hampshire's premier hazardous tree removal company. We remove problem trees from your property with minimal effect on the surrounding area, and we efficiently dispose of them with the smallest amount of waste possible. Through the use of our company-owned 202', 90 ton crane, many removals are as simple as plucking the trees out of your yard from the nearest street. Do you think you may have hazardous trees on your property? 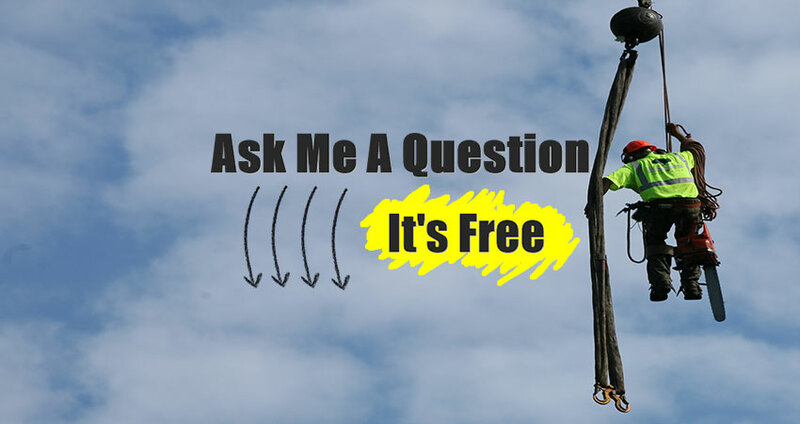 McGuinness Tree Service performs free tree removal estimates throughout New Hampshire, from Hooksett to Manchester, Nashua, and Concord, NH. McGuinness Tree Service will look at your problem trees and make an affordable recommendationon removing them. This will help prevent damage from dangerous trees on your property. They will even remove fallen trees.. If you have a dead pine tree on your property in Merrimack, NH, calling McGuinness Tree Service to remove your hazardous tree before the next storm makes sense. 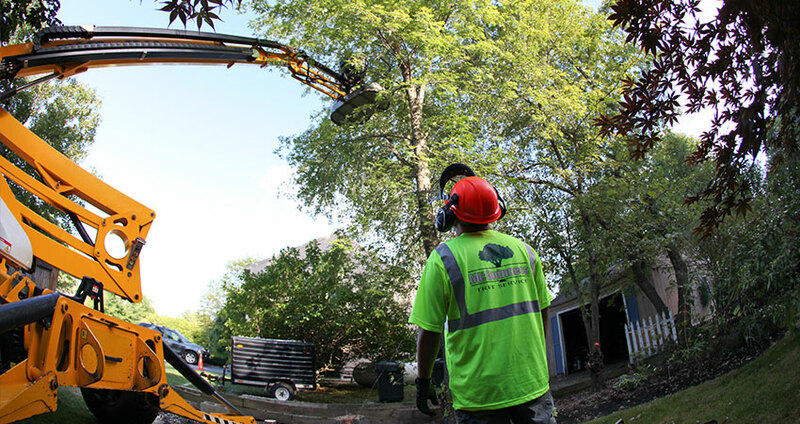 Nashua, NH homeowners can count on McGuinness Tree Service to remove a dead and leaning oak tree before it falls. Large, hazardous, rotting Maple trees in Concord, New Hampshire should be marked for removal by McGuinness Tree Service with the help of our 90 ton crane.